I'll never forget my introduction to horchata. I was enjoying a plateful of authentic green enchiladas, courtesy of my friend Juana, when I unwittingly bit into a jalapeno pepper. Seeing my crimson face and the tears streaming down it, Juana came to my rescue with a tall glass of cool horchata. Surprisingly, not only did it douse the fire in my mouth but it soothed my palate with cinnamon and vanilla. Popular in many parts of the world, horchata seems to have originated during the Middle Ages in Europe and is made of almonds, sesame seeds, tigernuts or barley. Mexican horchata is rice-based and sweetened with brown sugar. 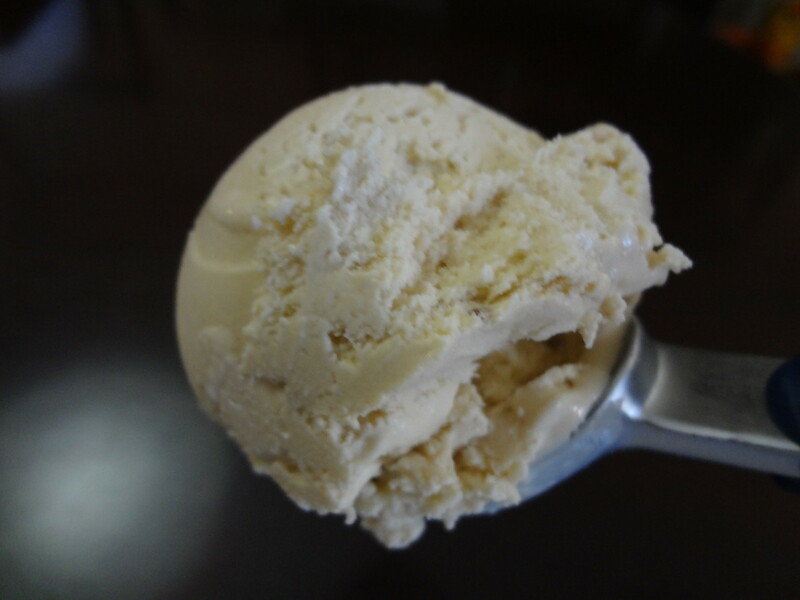 Horchata ice cream owes its silky texture to the naturally occurring starches in rice. This delicate, custard-like treat pairs well with sauteed bananas and salted caramel sauce. Think of it as a Mexican-inspired ice cream sundae: the perfect ending to a spicy feast. Buy high quality (organic if possible) whole milk and cream. Adding sugar to the eggs helps protect them from the hot milk during tempering. Tempering is an important step since it prevents the eggs from scrambling. As soon as the custard passes the coating test, remove it from the burner and strain. Chill custard at least 8 hours, or overnight. 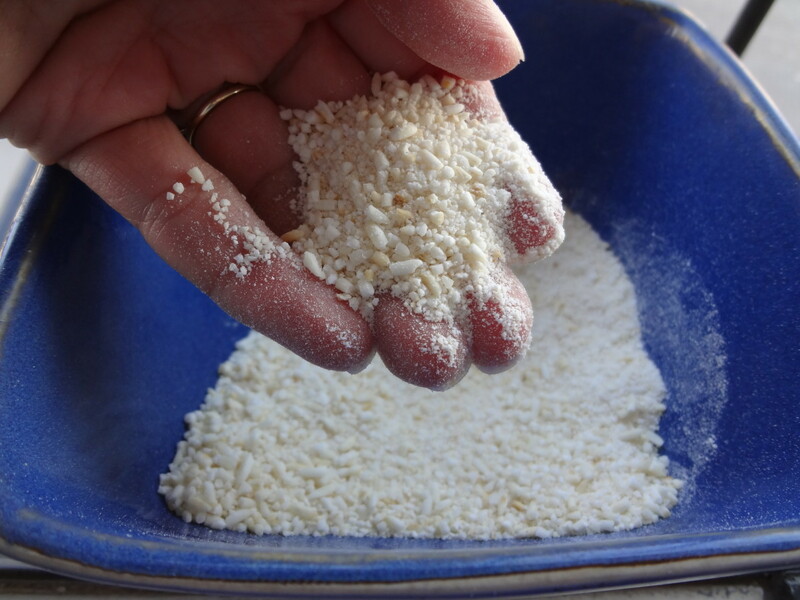 Pour rice into a blender container and blend until coarsely ground. 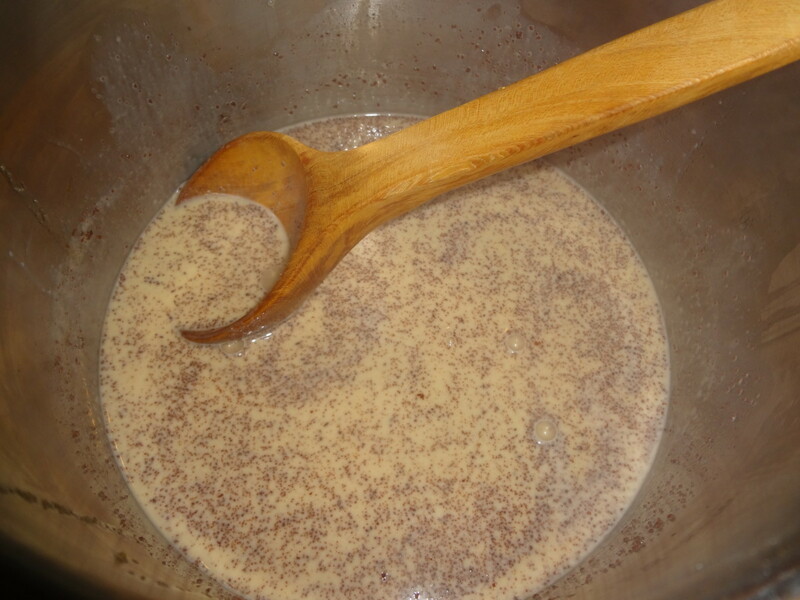 Heat the milk and cream in a saucepan until warm and steamy. Do not boil. Add the ground rice and stir. Cover, remove from heat and allow it to rest at room temperature for 2 hours. Set a mesh strainer lined with several layers of cheesecloth (or use a large coffee filter) over a large bowl. Slowly pour milk/rice mixture through cheesecloth to remove the rice. Add ground cinnamon to rice milk and reheat rice milk until steamy. Meanwhile whisk egg yolks, eggs and sugar in large bowl. Slowly pour the heated milk into the egg/sugar mixture, a ladleful at a time, whisking constantly so egg yolks are tempered by the warm milk instead of cooked by it. Return egg/milk mixture to the saucepan and add a pinch of salt. Stir the mixture constantly over medium-low heat with a heatproof spatula or wooden spoon, until the custard thickens enough to coat the back of the spoon or spatula. 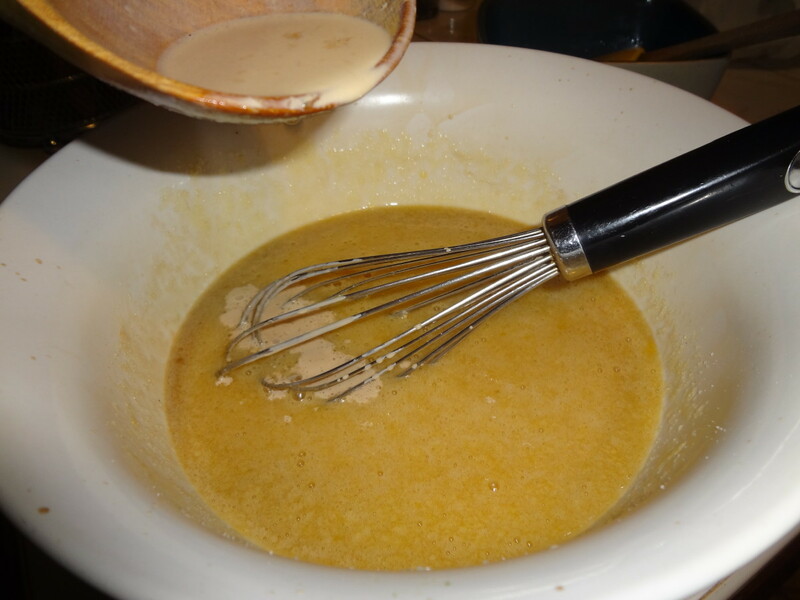 Sweep a finger across the spatula and when the coating doesn't run, the custard is ready. Remove from heat immediately. 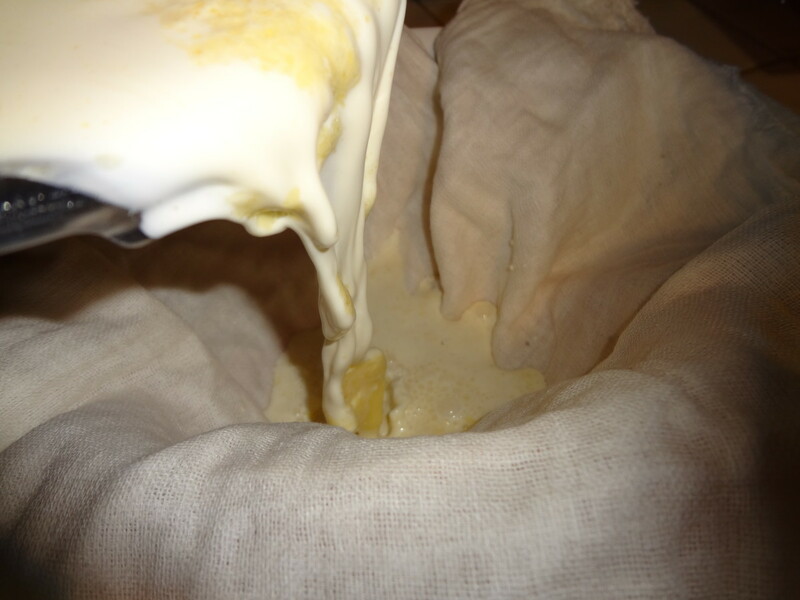 Remove cheesecloth from strainer and pour hot custard through the strainer only. Stir in the vanilla. 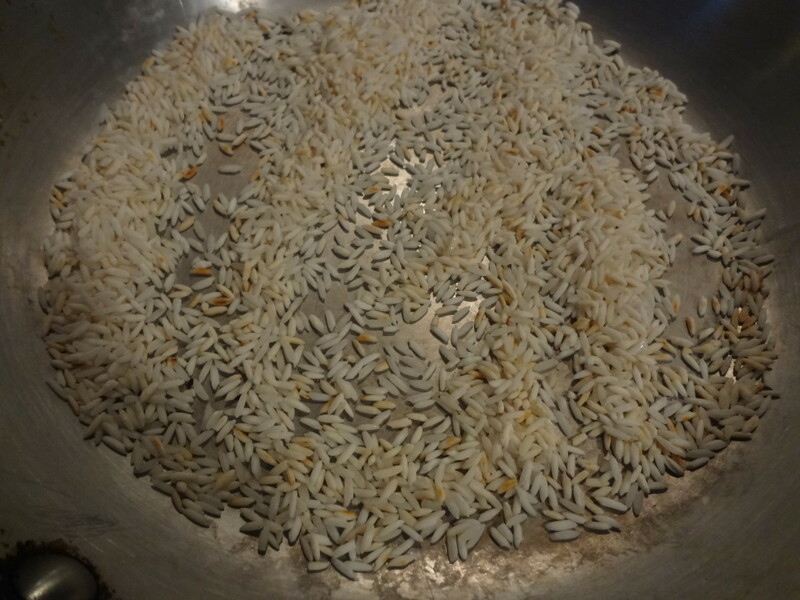 * To toast the rice: Pour white rice into a skillet on medium-high heat. Stir constantly until the rice turns golden, about 3 minutes. 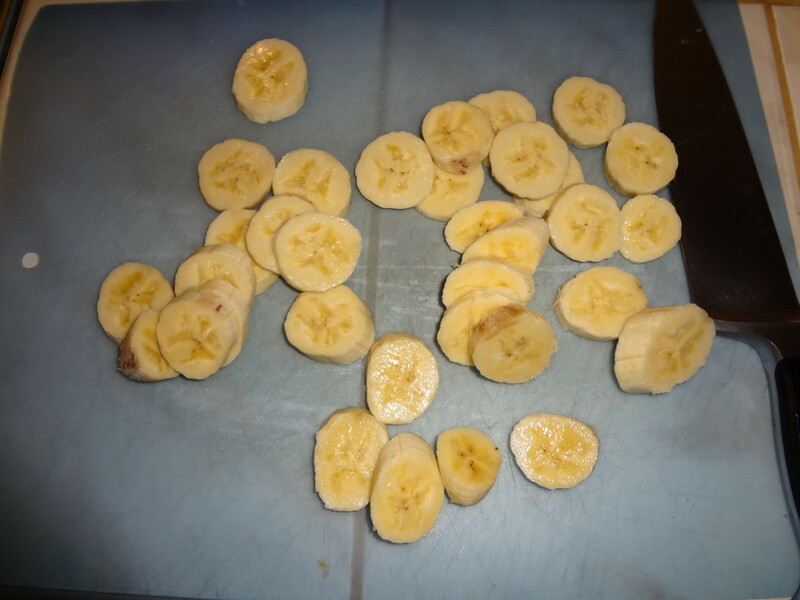 Slice bananas 1/2 inch thick. Once the butter has stopped foaming, add the bananas. 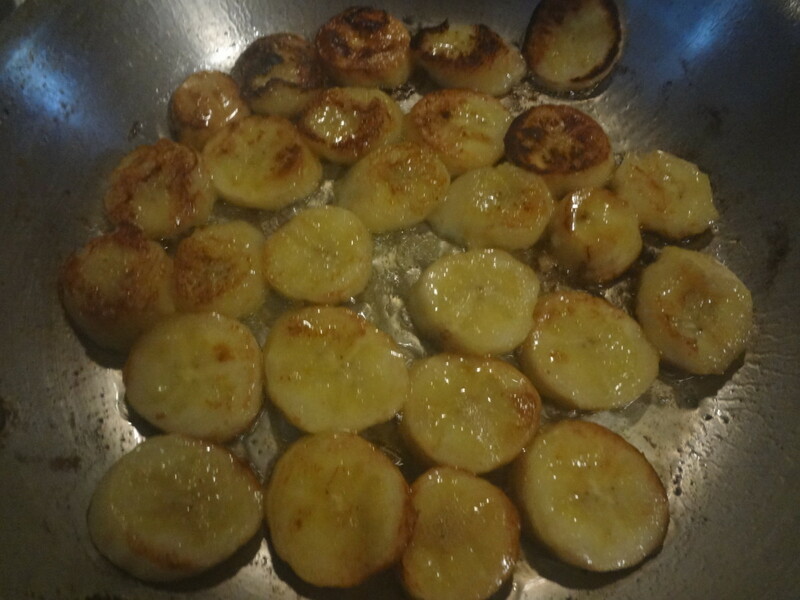 Sauté bananas 30-60 seconds, until golden brown. Carefully flip slices with a spatula and sauté on the other side about 30 seconds, until golden. This caramel sauce perfectly complements horchata ice cream's cloying sweetness. 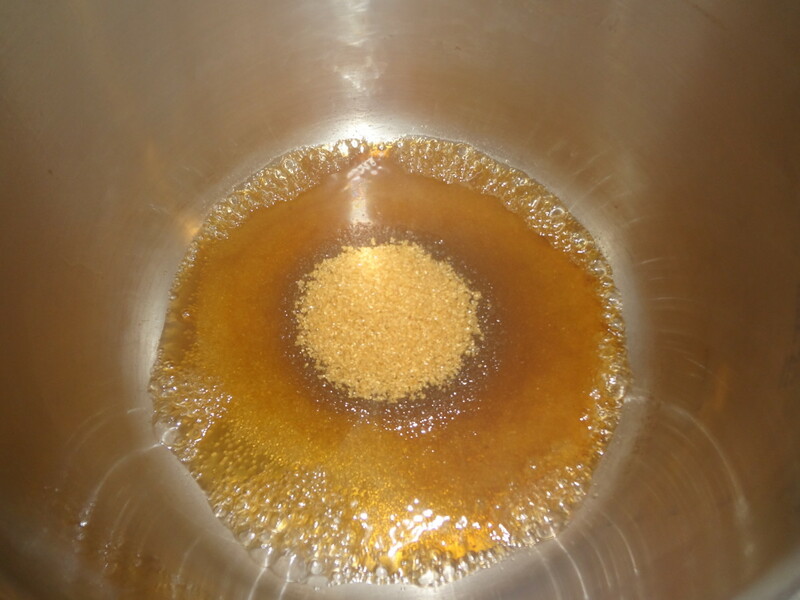 In a medium saucepan combine sugar, water and honey. 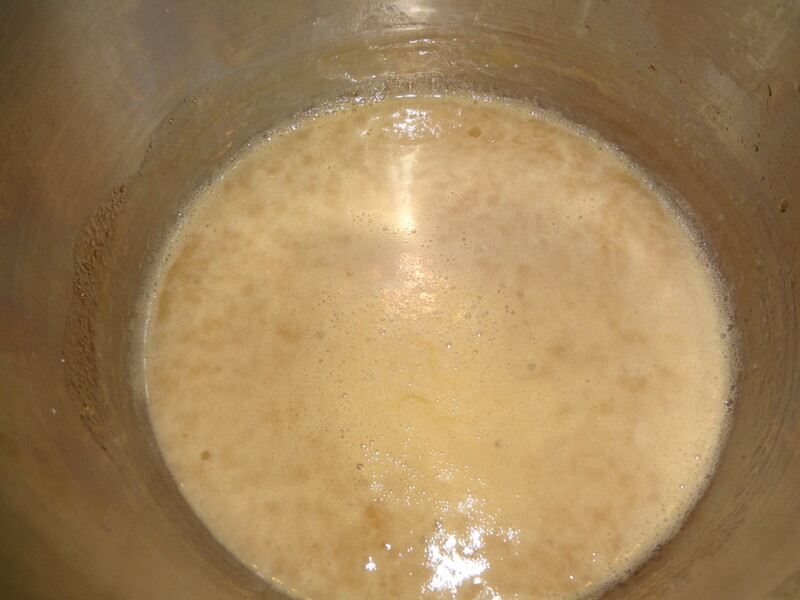 Simmer over medium-high heat, swirling but not stirring, until sugar dissolves and bubbles. Add butter, evaporated milk and kosher salt. Boil for thirty seconds, whisking constantly. Add vanilla extract and allow caramel sauce to cool. 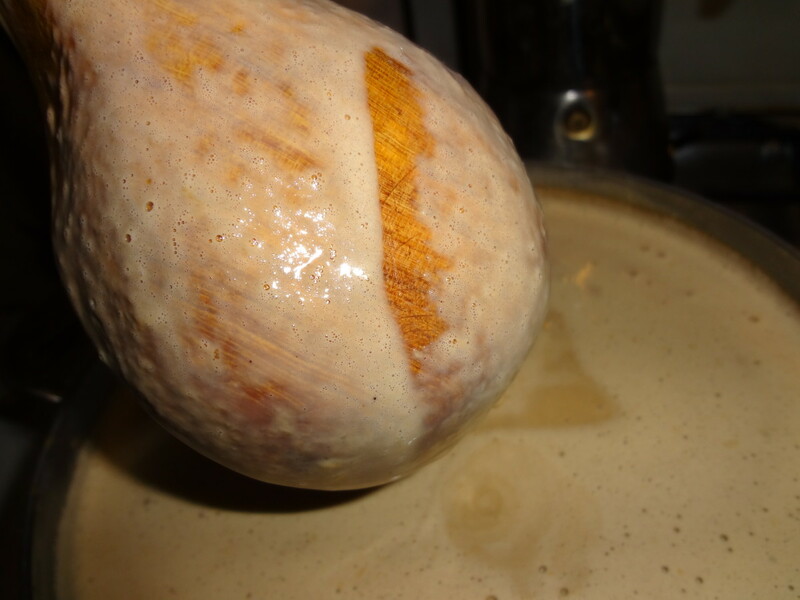 This is a thin caramel sauce that will thicken once it has chilled for several hours. Store in the refrigerator for up to one week. 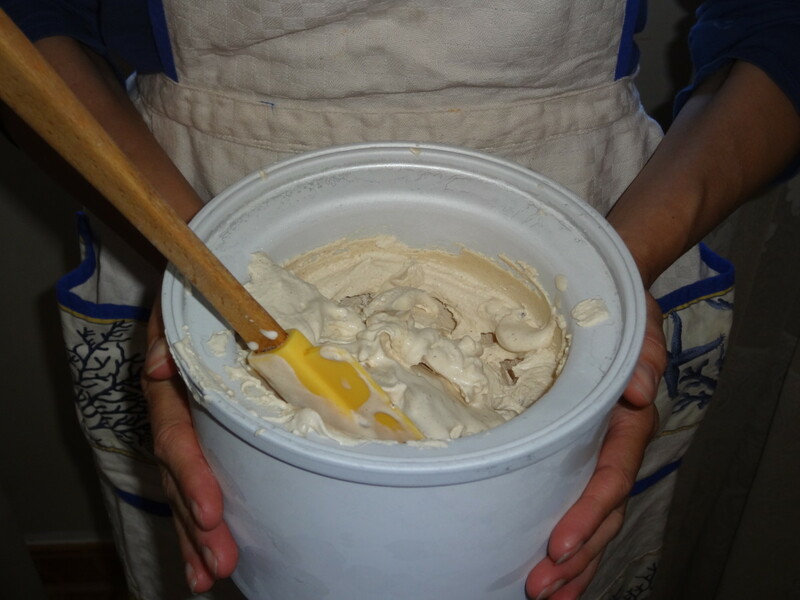 Although there are many methods for making ice cream, nothing churns out this creamy confection faster than a maker. The Cuisinart ICE-21 has been a fixture in my kitchen for more than a decade. 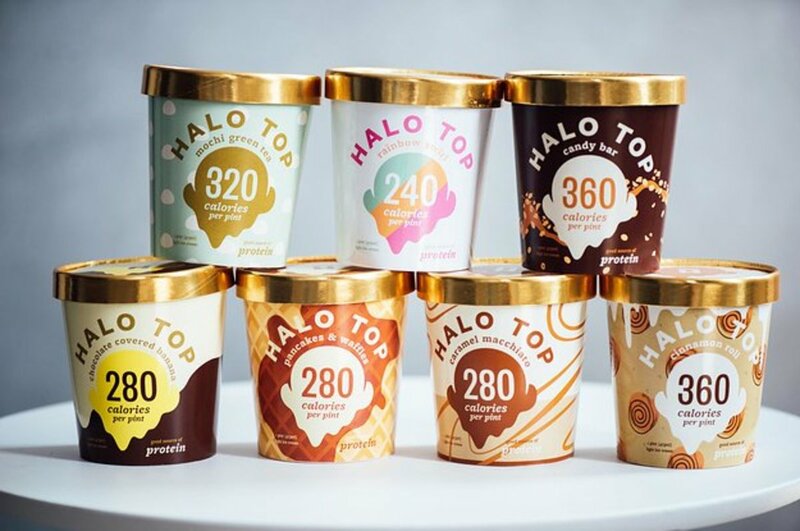 It's affordable and easy to use and, if you're in the habit of buying five quarts of grocery store ice cream annually, will pay for itself in a few years. 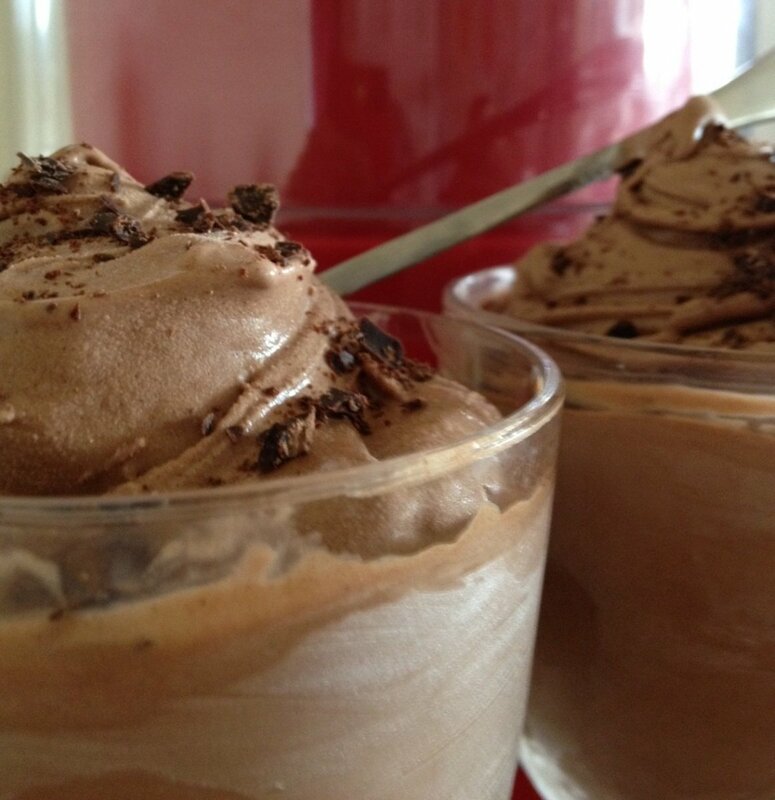 Homemade ice cream is more healthful than store brands because you control the ingredients. Commercial brands often contain chemicals like diethyl glycol, which is toxic enough to cause liver and kidney damage even in small amounts. Also, if you're on a low fat diet, the maker can freeze tropical fruit sorbet or yogurt. If you're in the market for an ice cream maker, you're in luck! Cuisinart's newest model is equipped with a specially designed paddle that cuts freezing time to just 20 minutes, which means creamier ice cream and less time in the kitchen. If you own a Kitchenaid stand mixer, your best bet would be to buy their ice cream attachment. See the Amazon capsule, below, for more information on either option. Have you ever tried Mexican horchata? Maria Arsiq, I've seen recipes for lactose free ice cream. You'd have to adapt it and see how it goes. Please let me know if you have a chance to try it! moonlake, thank you for the pin! It really is a delicious combination. Had to come back and check this recipe again it looks so delicious I will just have to pin this. voted up. Claudia Tello, I'm often amazed how much more I appreciate a food when I can't get it! I guess absence makes the heart fonder and that applies to food, too. : ) I hope you get to try the horchata ice cream someday. I love it in the drink form, but the ice cream version plays up the creamy, vanilla and cinnamon goodness. Thanks for coming by! Suzanne, as always I appreciate your support. What a surpise for me! It is hard to beat this combo--I appreciate the comment, votes, share and pin! OMG . . . .delicious ice cream, banana, butter . .caramel . . . . .scrummy!!! DELIGHTED you got HOTD, much deserved my friend. Moonlake, it's always nice to hear from you! Thanks for the vote and comment! Congratulations on a second different win on this recipe. Like I said before it looks delicious. Guess I need to get an ice cream maker. Vote up . ComfortB, thank you for your nice comment. Yes, it really is a delicious ice cream flavor. I hope you have the chance to try it sometime! Definitely looks good, and I bet it tastes good too. Good job with the clear, step-by-step instructions. And, congrats on the HOTD award. CZCZCZ, I'm glad you're going to try this ice cream. I hope it becomes one of your new favorites. : ) I appreciate your comment, thanks! What a great looking dessert. I love homemade ice cream and want to give this Horchata recipe a try. The banana's look done perfectly so, tasty! Ktrapp, we use our ice cream maker a lot in the summer and a little in the winter. You know what you put in your ice cream and that it doesn't contain chemicals or additives. Plus, it's super delicious! It's a great dessert to make when you have company because you do it ahead of time and it's such a special treat. The caramel sauce and bananas would be delicious on vanilla ice cream, too. Thank you for your meaningful comment! I hope you decide to get an ice cream maker. This recipe looks as delicious today to me as it did when I first saw it several months ago. 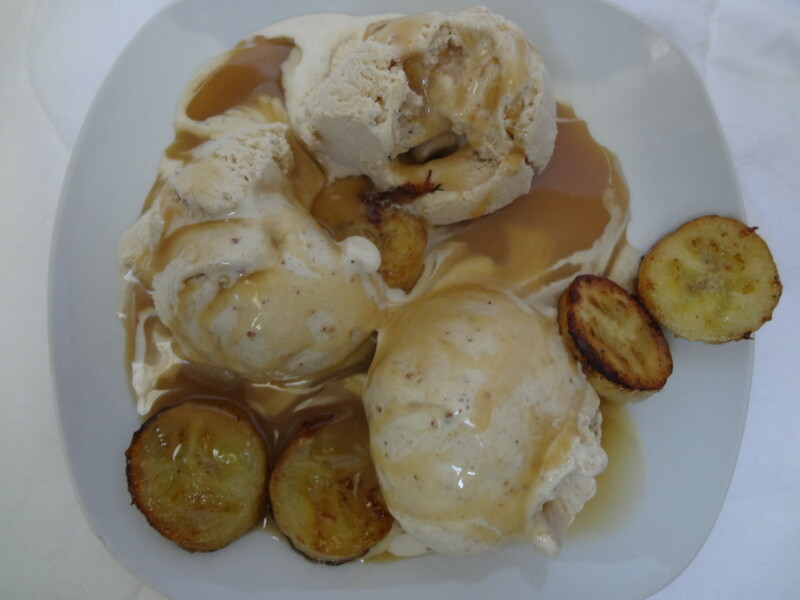 I'm thinking of making the bananas and caramel sauce to try on vanilla ice cream. I see the Cuisinart ice cream maker that you use is very reasonably priced on Amazon. I'm seriously considering getting one. Congratulations on HOTD. Congratulations on getting a well deserved hub of the day! This looks fabulous! Savingkathy, the ice cream maker is nice for us since I only use fresh ingredients and no chemicals go into our homemade ice cream. The down side is the machine does take up a lot of cabinet space. Thank you for taking the time to come by! Oh my... this dessert looks delicious! I used to have an ice cream maker, but rarely used it. Now I wish I still had it so I could give this recipe a try. Stephsev, it sounds like it's time for you to make some homemade ice cream! The hardest part is remembering to freeze the containers and make the custard a day ahead of time. The rest is easy, and especially the eating. : ) Thank you for coming by. Congratulations on the Hub of the Day...well deserved my friend. I love homemade ice cream but I've never made it. Thanks for the recipe. BTW-the sautéed bananas remind me of a dish we sometimes get in Tai restaurants. Pstraubie, I really appreciate the comment and I'm happy you're going to make the horchata ice cream. It's creamy and cool, the perfect treat for any time of year! Thank you, nuffsaidstan, it really is a delicious ice cream! This looks deliteful. And the information you provided makes it even more tantalizing. The step by step directions make it a dessert I believe I can attempt. Thanks for sharing this and congratulations on hub of the day. Going to have a go at this one it looks amazing! Ishwaryaa, thanks so much! I really appreciate your visit! Kingsingh, I appreciate your kind words! GlimmerTwinFan, thanks so much for the pin and comment! What a nice surprise to wake up to! TToombs, thanks so much for paying me a visit! I was so surprised to wake up this morning and see that I'd been given this honor. Randomcreative, thank you for being the first to congratulate me! I feel very honored! This looks delicious! I've never heard of this but look forward to trying it! Voted up and pinned. Congrats on getting HOTD! You have such great recipes. Well deserved. Congratulations ! on hub of the day, we finally got to try this ice cream and it was amazing so i'm not surprised it has received this acolade. Congraton your HOTD, Vespa!!! Well deserved and this looks AWESOME!!! Congrats on your HOTD! This looks delicious and so interesting just like all of your recipes. Pinned! Came back to say Congrats for this unique recipe hub being chosen as today HOTD! Way to go! hi there vespawoolf. i can't wait to try this recipe. We have a cuisinart icecream maker and its great. We always make our own icream now and never get it from the store. This recipe just looks amazing.Thanks so much for posting it. TattooKitty, it really is delicious and unique. I hope you enjoy it as much as we do. Thank you for coming by! miss1magination, I hope you can try it! BTW, this recipe won two prizes in the recipe contest HP held two months ago, including the final dessert prize. It really is delicious and unique! I'm glad you enjoyed the recipe, Alocsin. This one placed in the recipe contest. 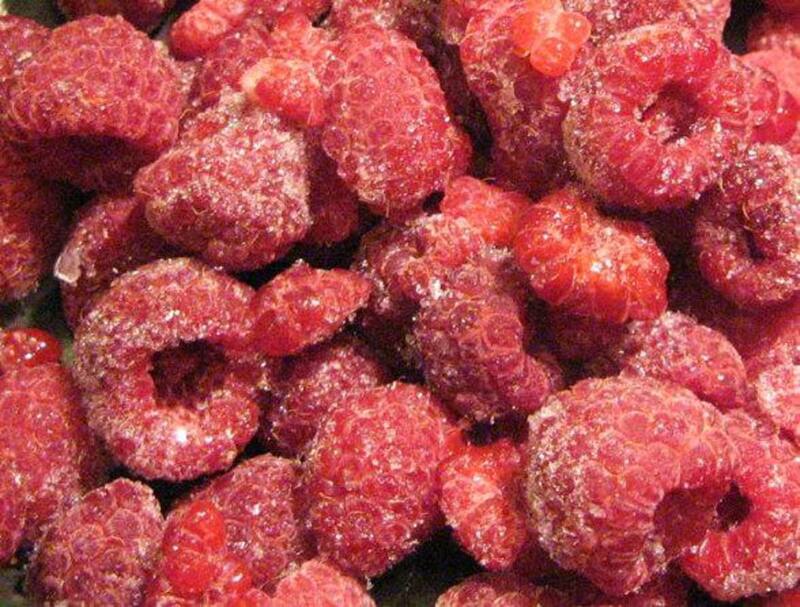 I wish I had a bowl of it right now! Thanks for vote and comment. I love horchata but have never had it in an ice cream. And your combining it with another fav of mine, butter caramel, makes this irresistible. Voting this Up and Useful. Moonlake, thanks so much for your kind words, the vote and share! Returned to wish you congrats on winning "Best Dessert Recipe" for this deserving hub and unique recipe. Looks so delicious. Congratulations! So happy for you. Voted up and 5 stars and pin-it. Mrs. Menagerie, thanks so much for your kind words! You could make ice cream a can, like a coffee can. Place the can inside a larger container, like a plastic tub and surround with ice. Then roll it on the ground, or have some kids play with it like a ball. Beautiful hub, enticing recipe and well deserved win vespawoolf!!! Congrats! Design Artistree, ktrapp did a great hub about making ice cream in a ziplock bag: https://ktrapp.hubpages.com/video/homemade-ice-cre... You might like to check it out. This ice cream is so silky, smooth and delicious. I hope you have the chance to try it. Thanks so much for stopping by! I love horchata--discovered it at my favorite little Mexican restaurant several years ago :) Is there a method for making the ice cream without an ice-cream maker? Unfortunately, I don't have one, but am dying to try this recipe! Mama Kim 8, I hope you enjoy this creamy frozen dessert. The caramel sauce is a great flavor complement. Thanks so much for taking the time to comment and for your kind words! Thank you for informing me that this is quite diet-friendly! HawaiiHeart, it's so nice to meet someone who has an ice cream maker. Enjoy this silky smooth frozen treat and thanks so much for coming by. Rebeccamealey, you haven't lived until you've tried horchata ice cream! Caramel is also one of my favorite. Thanks so much for the vote and share! OMG...all of that looks so delicious! I have an ice cream maker and definitely want to try this. How interesting. I have never heard of hortacha! It looks really good. I love caramel. Voted awesome and shared. % stars! Ishwaryaa22, thank you so much for the kudos and your kind words. This is a delicious ice cream, but definitely not for dieters. I usually make a batch when we're going to have guests over for dinner, that way I only eat a small portion and give the rest away. I hope you can enjoy it silky texture and delicious flavor someday! I appreciate the time you took to read and comment. Wow! A yummy dessert! The photos look drool-worthy! Your engaging hub is filled with detailed instructions, handy tips & helpful photos. 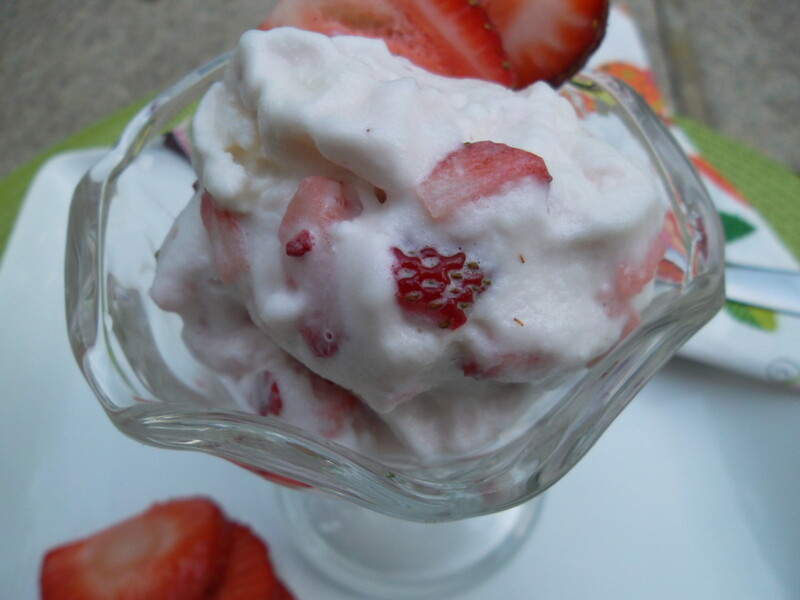 After reading this recipe, I wanted to try Horachata ice-cream soon but unfortunately, I am on a diet. Hopefully, I try it in the near future. Belated Congrats in your win! Very much-deserved! Well-done! Thanks so much, LetitiaFT, for your kind words. I was really surprised but pleased, to say the least! Peggy W, I hope you can find it. It was actually a "made up" recipe. I know what you mean about keeping ice cream around the house. That's the good thing about homemade. Without the preservatives it only keeps for two days. Thanks so much for your kind words! Congratulations on the best dessert prize! Much warranted! Congrats to you too Vespawoolf! I liked the look of this recipe when I first saw it and it is so unusual. I haven’t yet had a chance to make it, but do intend over the summer. Ktrapp, thank you so much! Yes, I am still in shock. There were so many awesome dessert recipes; I feel extra grateful for the win. And congratulations are in order for you, as well, for your wonderful Homemade Ice Cream in a Bag recipe! I see congratulations are in order for winning the Best Dessert Recipe Hub in the contest. 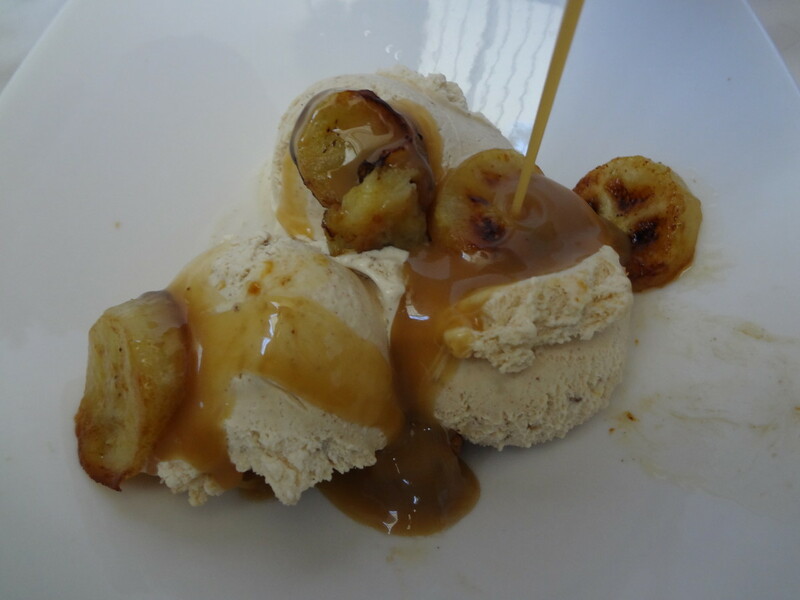 I cannot even begin to imagine how fabulous this Horchata ice cream must taste with the caramel sauce and bananas. Congratulations on your win, which is quite an achievement considering the amount of tempting dessert hubs entered in the contest. Livelonger, thanks so much for taking the time to read and comment. Horchata is the perfect ending to a spicy meal. It's not for the calorie conscious, but then again it doesn't hurt to enjoy a delectable dessert now and then! This looks positively delectable. I'm a big fan of horchata - I get it at taquerias when I'm not feeling particularly calorie-conscious! - and I love the flavor. It sounds like something that's perfect as a dessert, an even more powerful jalapeno flame-douser than the liquid. I hope to try to make this before the summer's over! 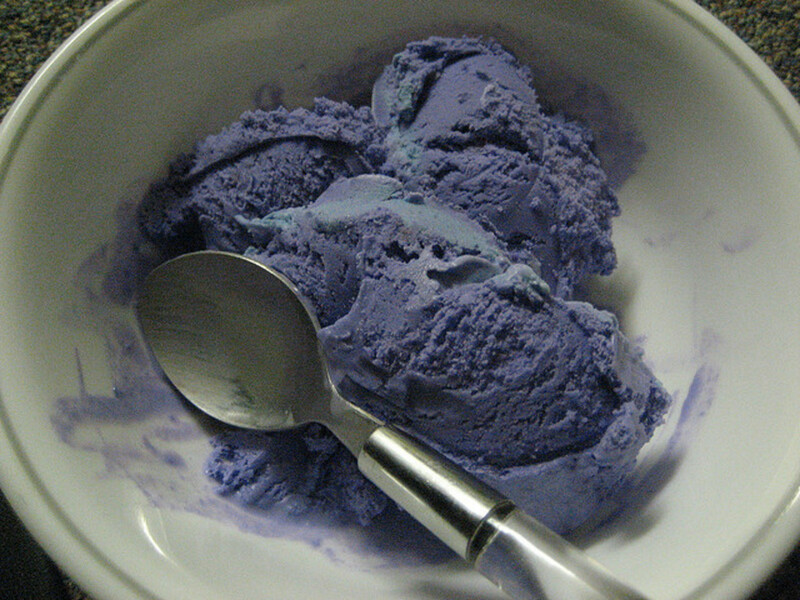 Purple Perl, it's so true and making ice cream is fun, too! Thank you for reading and commenting. Making your own ice cream at home is definitely healthier, and your family will love you for it. It also gives you a chance to display your creative skills. Jennzie, thank you for the follow! Your recipes look so good! I'm now following your hubs. Anglnwu, thank you for reading and commenting. I was surprised and pleased by the win! Congrats on your win. This looks so fabulously delicous. Love your step-by-step presentation. Thanks for sharing. Acaettna, thank you for reading and commenting! Happyboomernurse, thank you so much for your kind your vote. I know what you mean! Ice cream is so tempting. I find it best to make a batch for dinner parties so that I only enjoy a modest portion and share the rest with my guests! Patty Inglish, thank you for your kind words and for pinning! Definitely a 5-star recipe and Hub! I've enjoyed horchata beverages and will try this recipe. Pinned it so friends can enjoy it too. Congrats on winning for this recipe for a type of ice cream that I've never heard of. The ingredients and final product sound very good. This is a great hub and I voted it up, useful, awesome, beautiful and interesting. Also gave it 5 stars. Turtlewoman, thank you for your kind words. I'm surprised and honored to have won a prize! Thank you for the kind words, Kelley! It's not healthful like your nice recipes, but it is nice for a special occasion. Thank you, Beth100, and enjoy the recipe!